A great idea for party dips, taco fixin’s’ and oriental dish sauces. Each of our Brie Bakers come with two recipes. Use it to cook in, serve in or as an attractive setting to display items. 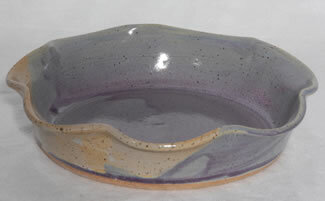 Please call us as quantities/glazes are limited. 336-841-8933. **Shipping/handling will be added at checkout. Our shipping rates are only applicable to the 48 contiguous states. If you live elsewhere additional shipping will be charged. Please contact us for those shipping rates.